There’s nothing like spending a morning or afternoon outdoors, at the market, surrounded by the bounty of your local farms. 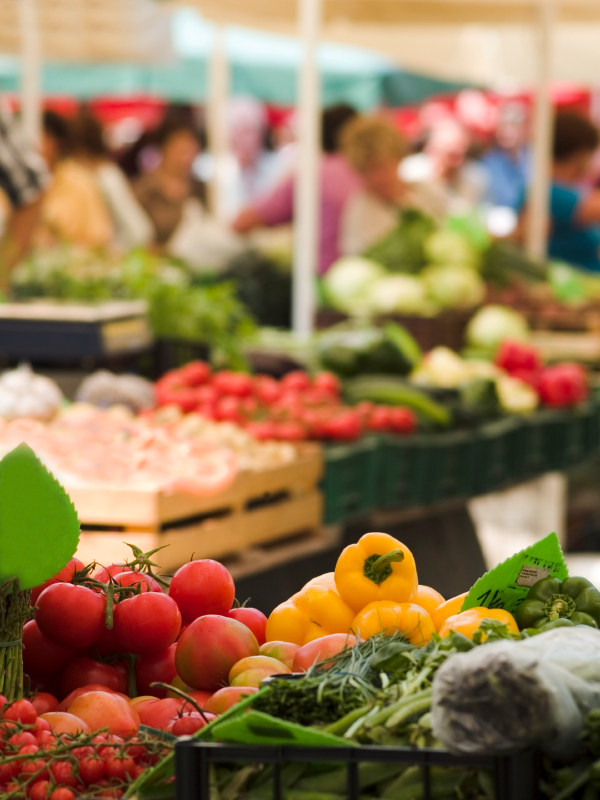 A trip to the farmers’ market is a way of nourishing your community and yourself. In many communities, farmers’ markets are held on the weekdays, which is a nice way to shake things up and avoid skipping it for the sake of other (more important?) items on the weekend’s to-do list. I find that a little pre-planning goes a long way when it comes to visiting the farmers’ market. You need to take cash to buy produce and reusable bags to carry it home. It’s also nice to have a shopping list, which means you’ve thought a bit about what you want to cook for the week. Search our recipes for inspiration. It’s also helpful to have some guidelines in mind for selecting the best possible produce whether it’s fresh herbs, greens, asparagus, summer fruit, corn, berries, or root vegetables. For guidelines and more tips on how to make the most of your next visit to the farmers’ market, see my article on How to Pick Farmers’ Market Produce.